Hydra Publications has a special treat for you today and tomorrow. Every now and then a publisher will offer maybe one or two eBooks for free. It’s unheard of for them to give you thirty. Until now! 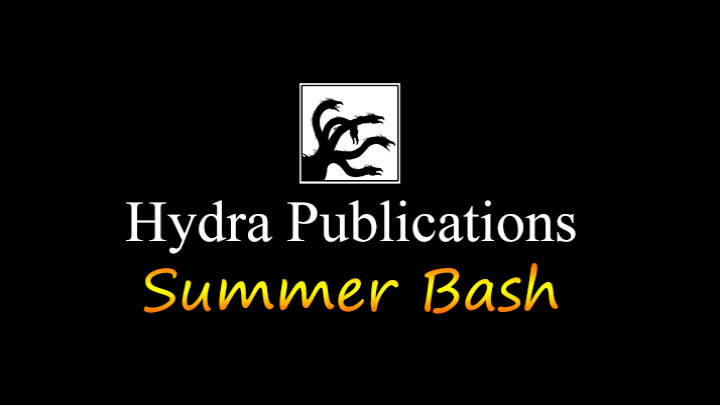 Hydra Publications is throwing a Summer Bash where you can download thirty of their titles for the low low price of nothing. Today July 16 and tomorrow July 17 only! It’s a great chance to get some amazing books for your Kindle. I highly recommend picking up the two books in the Artifacts of Empire series, The Universal Mirror and The Jealousy Glass, by Gwen Perkins. Oh yeah, almost forgot. The Exile’s Violin will also be part of this Summer Bash. 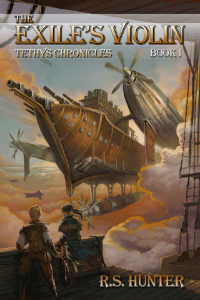 Considering the fact that the sequel, Terraviathan, is coming out in December, you might as well read the first one now. If you wouldn’t mind moseying on over to Amazon and pickin’ it up, why, I’d be just thrilled. Thanks ever so much. Go here for a complete list of Hydra’s titles at Amazon. 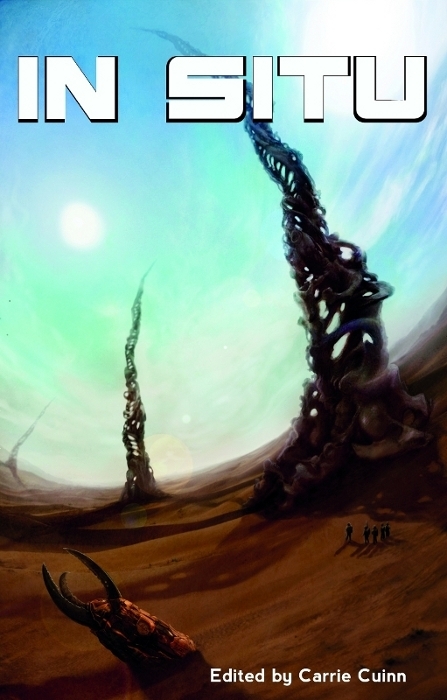 Well the world might be ending soon according to several fantastical theories and prophecies, so it’s a great time to treat yourself to some new(ish) science fiction and fantasy books by yours truly. Ten Silver Bullets Available Now! February 7, 2012 / R.S. Hunter / Comments Off on Ten Silver Bullets Available Now! So this is all rather sudden. Last week I found out my short story “Blood Moon” was accepted in the Ten Silver Bullets werewolf anthology by Adam Millard and Crowded Quarantine Publications! And now that same anthology is available online! Ten Silver Bullets is available for Kindle through Amazon, or you can find it on Smashwords. “Blood Moon” tells the story of a private eye on the job in Prohibition-era New Orleans. Except he specializes in cases that aren’t quite…normal. You’ll have to read the story to find out more, but the werewolf theme should give you a hint of where the story might go. Crowded Quarantine is a UK publisher, so this is doubly exciting for me. I’ve never been published across the pond so to speak. I also have an electronic copy available for review, so if you’re interested contact me. While reports are all over the place about whether or not Amazon’s Kindle Fire sold well in Q4 2011, I can say without a doubt that Kindle and other e-readers are completely changing reading habits. At the very least, my Kindle Fire has changed my reading habits in just a few short weeks. But what does that mean for me as a reader and as an author? Personally, I love my Kindle. It’s the best Christmas present I’ve received in a long time. With the ability to wirelessly download books pretty much anywhere, I’ve found I’m reading a lot more than I was in the last year. It saves me the hassle of having to either go to the library or a bookstore. Both libraries and bookstores suffer from physical limitations: not enough shelf space or not having certain products in stock. And ordering physical books online has its own drawbacks too: you have to wait for them to arrive and sometimes things get lost in the mail. Since I got my Kindle, I’ve downloaded more books in just a little over a month than I’d purchased in probably the last six months. Because of that, I’ve also read more than I had in the last six months. I’m able to carry multiple books with me at one time. I can take it work and read on my breaks. I can take it with me to the tire store and read my multiple books while I wait for the mechanics to put new tires on my car. The Kindle is an amazing tool for helping me, as a reader, read more books and from a wider variety of authors. (I make a point to try and read books by indie authors along with bigger names). But what does this all mean for me as an author? Well technically, I don’t know because I haven’t published a novel (yet). But with millions of people owning Kindles and other e-readers I can see the growing importance of ebooks. I used to be a staunch traditionalist. I swore I’d never give up buying paperbacks. Now my tune has changed a little bit. I still love physical media, but I can see the positives associated with ebooks and other digital media. And if I’m able to be swayed, I’m sure there are millions of other readers out there who feel the same way. I used to only want to see my work appear in print, and not in digital formats, but that doesn’t make sense anymore. To ignore ebooks and e-readers would be a huge mistake, especially if you’re a first-time or indie author.